Diastasis Recti - What, Why and How to Fix it! So what is Diastasis Recti? 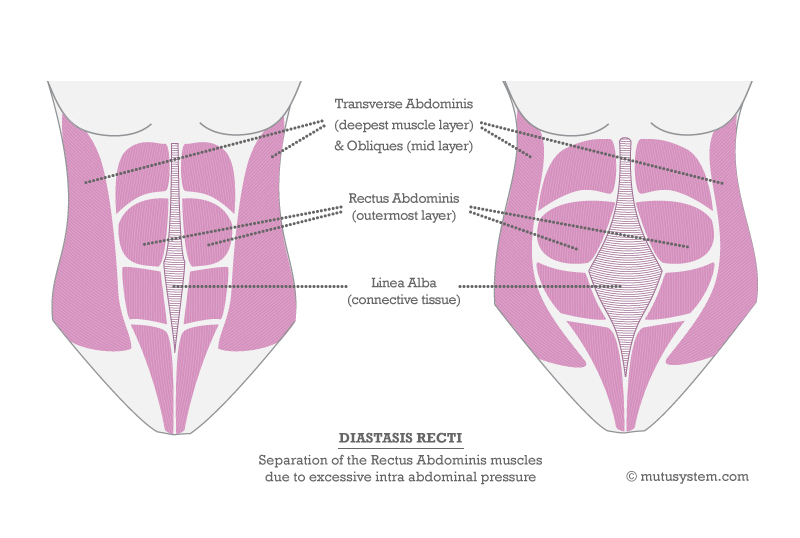 Diastasis Recti occurs when the main abdominal ‘6 Pack’ (the Rectus Abdominis) separates down the middle due to the over- stretching of the line of connective tissue (the linea alba) that joins the 2 sides of the muscle together. Sometimes it’s just a small separation, that you may not even realise you have whilst you’re still expecting (or even afterwards). Other times it’s a wider or longer division, in which case a hernia (bulge) can sometimes be felt or seen. Either way, you are not alone, as it pretty common, occurring in between 30 – 66% of ALL Pregnancies (Boissonnault & Blaschak 1998). You are also more at risk if it’s not your 1st baby (and your core was already weakened), if you had a large baby, have a small pelvisor if you did exercises that over-strained the rectus abdominis during pregnancy. Many separations will naturally close during the first few weeks after having baby. Many others need a little help with protecting against further strain and correctly re-training your abdominals (see the advice below). 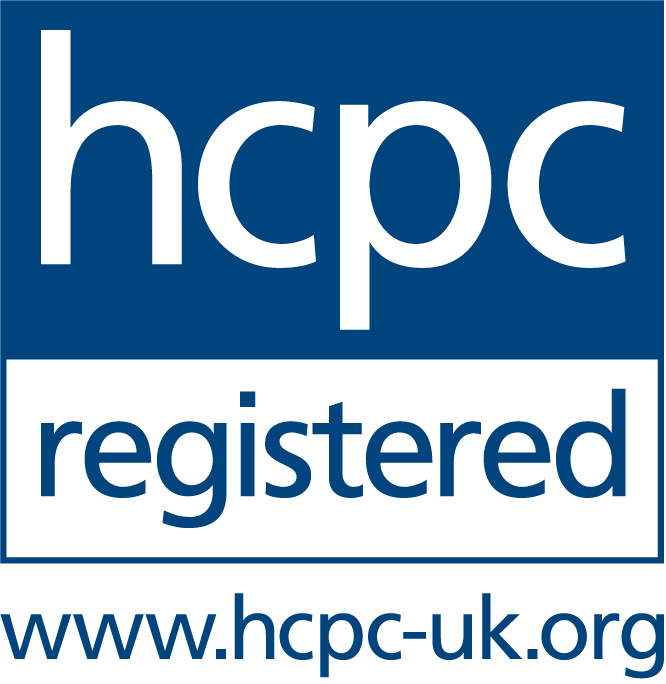 If all that fails your GP can refer you on for a surgical repair. This is not rushed into however, as you’ll usually need to have completed your family before a doctor will consider it, and you’ll still need to re-train your abdominals after surgery. So how can I check if I have it? If you’re reading this after you’ve recently had your baby, and you think you may have a diastasis recti, then I strongly recommend you ask your midwife or GP to check (or a Physiotherapist such as myself who treats Pregnant and Postnatal Mums). Remember that this isn’t a vanity issue (well, maybe partly – but that’s FINE too!) - having separated abdominal muscles can contribute to low back pain and prolapses, as well as lowering self esteem. It may be that several weeks or months after giving birth you still have the same post baby tummy (and possibly have been asked when you’re due!!). A ‘Mummy Tummy’ of sorts is pretty normal despite what the media would have us believe!...In the early days we're often not that bothered about ‘getting back in our jeans’…. looking after our new bundle of joy is the priority. It’s also normal to still have more fat than before lying on top of your tummy muscles (it's part of pregnancy, then the hormone Cortisol has a lot to answer for here, but I’ll save that story for another day...). However if you’ve been increasingly more active, have lost a bit of weight, been doing some exercise, and weeks, months or even years later your tummy isn’t budging… (or maybe it even seems like it’s bulging out a bit more), then it’s worth checking for an abdominal separation. Repeat this above and below your belly button so you can assess the WIDTH and the LENGTH of the separation. The naval (belly button) is a weak spot in the abdominal wall and is often where the ‘gap’ is felt. So if I have it, what can I do about it? So don't just accept it.... You've just grown and birthed a baby.... you deserve to get stronger again! Starting with what NOT to do - There are certain exercises to avoid - Any exercise that causes your abdominals to bulge out or ‘dome’ (always aim to draw the belly button inwards). These exercises (such as a full plank or raising both feet off the ground) increase the intra-abdominal pressure, so can make your diastasis worse. Prolonged stretches of the abdominals (ie. Upward dog or lying backwards over a gym ball) probably won’t be helpful. Heavy lifting - this includes baby in their car seat (they are heavy!) so if possible get someone to lift baby’s car seat for you, or plan ahead and ask your partner/a friend to put the seat in the car before you’re going to need it. When lifting has to be done (baby from crib, washing etc ) bend your knees into a squat and hold in your deep core and pelvic floor first (see point 3) – We’re aiming to reduce the abdominal bulge. Getting up out of bed – As above - hold in your deep core (see point 3) , roll onto your side and use your arms to assist you. Don't just use momentum to swing yourself up. Wear a Support - This is never a popular one, (you probably won't feel your most attractive in it) but if your diastasis is over 3 fingers wide, it will help in preventing further strain on the connective tissue running down the middle of the abdominals, as well as encouraging your core to engagement and helping support your back. A hospital Physio may give you a length of wide tubigrip to wear in the same way as a bump band, or you can buy them from on-line sites. Standing correctly can help your deep core muscles hugely! Keep your weight through your heels. Use your deep core and pelvic floor lift in everything you do! Start re-training your deepest abdominals and Pelvic Floor - ALWAYSstart by working on the deepest layer of abdominals first, our ‘Transverse Abdominis muscle’ (TvA). This muscle wraps around our middle like a natural corset, and is the foundation of ‘core stability’. It works in harmony with your pelvic floor, and together with tiny muscles in your back and your diaphragm this forms our central ‘Cylinder of Support’ . However our TvA is s a subtle little fella, and requires some concentration to begin with. In modified Pilates we always begin (and continue) with working our deep core/our TvA muscle, together with our pelvic floor. Imagine your knicker elastic has just tightened up(holding in the area below your belly button without tilting your pelvis), and at the same time you’re stopping yourself from passing urine by lifting up your undercarriage! Until the distance of your abdominal separation is less than 2 fingers breadth avoid working your ‘sit-up muscle’ (rectus abdominis), although you can add working your next 2 layers of abdominalmuscles (your internal and external obliques/ your waist muscles) as long as you don’t bulge your tummy – we’re aiming for a FLAT tum when we exercise (think holding your belly button into your spine). Foot slides on all hands and knees is a good exercise, as is a bent knee fall out when lying on your back with knees bent up (feet flat on floor). You also want to exercise your whole body, not just focus on closing the separation. Think Strength and function rather than skinny! Join a Post-natal Pilates Class - As a Physiotherapist who’s had 2 children, Claire Yuill set up ‘Mummy does Pilates' as part of her Physiotherapy & Pilates practice ‘Sussex Physio Pilates’ in Worthing, West Sussex. Her aim was to run Pregnancy and Postnatal classes for local Mums to come and exercise safely together (while getting some time for themselves too). We cover all of the above – learning to hold our bodies in a neutral posture and to work our cores from the inside out as we work the WHOLE body. The golden rule before you start any class is to make sure the instructor knows you have a separation of your abdominal muscles and that the exercises are appropriately modified(ie. No head and shoulder lift, and no double leg lift).